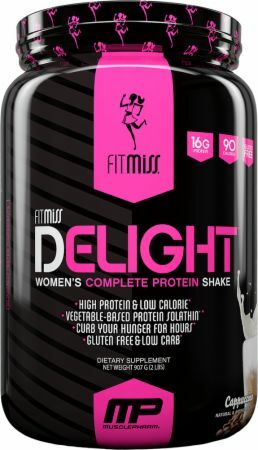 Delight by FitMiss at Bodybuilding.com - Best Prices on Delight! 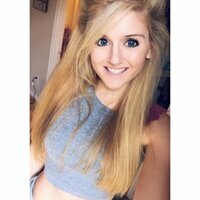 High Protein/Quality Calorie Shake To Supplement Healthy Meals And Snacks! I only tried the Vanilla Chai so far but oh my god it was wayyy too sweet. Too sugary taste. The product itself is good but that flavor for me was just no. Gonna try the chocolate later hope it won't be that sweet. Love, love, love this protein powder flavor!! Not too sweet, great for baking as well! I've tried all the flavors and I would have to say hands down my favorite flavor would have to be cappuccino. I usually use unsweetened almond milk and ice and it taste great. Highly recommended. 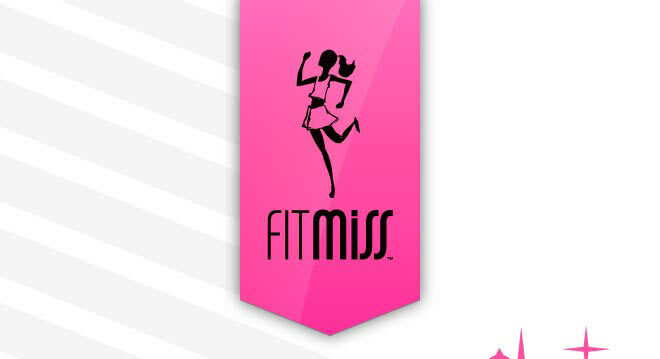 I love the FitMiss products, I've used them for years and I've never had any issues. But when I got my two-2lb containers of Vanilla Chai, the taste was changed and when i got done mixing it with milk, it was chunky at the top from not mixing well. I tried using water, almond milk, and 2% milk and it happened to all three liquids. I tried mixing the protein with cinnamon and nutmeg to reduce the chai taste and it helped a little bit but I could still taste it and I didn't like it. I was disappointed because I love this brand and this product so much, this is the only place that I can find it anymore. I really liked the flavor of this protein and the nutrition. The only negative I have is that it can be a bit foamy if you add too much liquid. It is much better with almond milk than water. This is definitely one of my top favorite proteins, I feel like I need to buy cappuccino now since it's the only one I haven't tried... easy to mix, great flavor plus extremely health beneficial! I use with almond milk and it has a great flavor. I really enjoy this flavor. I added Pumpkin, cinnamon and pumpkin spice and it made a wonderful Pumpkin Spice shake. I like this flavor and it tastes good, I'm not getting the full aspect of it. Any suggestions? I used to love this product, but something changed in my last order. The container is smaller (not a big deal) but the taste was different. I did not feel satisfied like I did before. I then checked the label from the new container and it is different. It does not mach what is on the website here. The old container showed the protein being made up of a blend of Whey Protein Concentrate, Egg White Albumin, Micellar Casein, Whey Protein Isolate, Whey Protein Hydrolysate (check the ingredients and you will see what I mean). The new container does not show that ingredients sections, but has an added sections called. FitMiss Delight Protein. It only shows Whey Protein Concentrate. I have to say this is very disappointing and I do not recommend this product anymore. 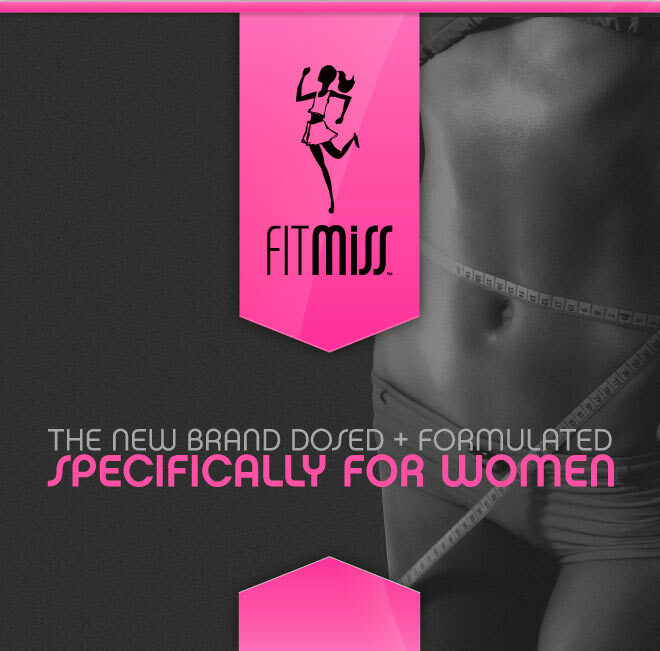 I also ask that you spread the word on what they did to this product, maybe it will convince FitMiss to return back to the way the product was. My wife loves this product! I usually make her a shake for breakfast and one for lunch. I love these proteins, as they taste great. Does need to be shaken up after sitting for a couple minutes, but isn't a huge pain, as I usually shake mine regardless. Only thing that I dislike is the low amount a protein in each serving. Warnings: This product is only intended for use by healthy adults over 18 years of age. Consult your physician before using this product if you are taking any prescription or over the counter medications or supplements. Do not use this product if you are pregnant, expect to become pregnant or are nursing. KEEP OUT OF REACH OF CHILDREN.